LONGPOP | LONGPOP Web site - Do environmental factors influence cognitive development of children? ESR14: Do environmental factors influence cognitive development of children? University of Edinburgh (Centre for Research on Environment Society & Health; Scottish Longitudinal Study). It is known that early life conditions can impact health and mortality. Using newly developed transcribed data juxtaposed with place-based information, this research will make novel contributions to understanding how social and environmental conditions in early life affect subsequent health outcomes. The research—which will connect with the ongoing Digitising Scotland (DS) project within the LSCS—will make use of transcribed birth, death and marriage certificates. The certificates have essential additional information—such as place and occupation of parents at birth and at marriage—which make socioeconomic and geographical research possible. To gain experience in longitudinal GIS methods—as it is anticipated that the DS data will not be fully transcribed at the start of the project—the project will make use of a cohort data from the Cohort and Longitudinal Studies Enhancement Resources (CLOSER) program. There are 9 cohort studies included in CLOSER with sample members born from 1911 to 2007, including the 1946 MRC National Survey of Health and Development, 1958 National Child Development Study and Millennium Cohort Study. The aim of the research is to gain an understanding of how early health environments—including physical environment such as sunlight duration, social environments such as deprivation and crime rates—affect subsequent health and well-being. Crucially, because the address (geocode) is available or will be available at most time points (i.e., events), it is feasible to use GIS to construct a range of geographical variables and examine the effects of constructs such as area-level deprivation, crime prevalence and sunlight duration. Additionally, DS offers (albeit in a more restricted capacity) life-course data for a longer time period, and hence we will make use of transcribed birth, death and marriage certificates from 1855 onwards (i.e., no survey data). The focus of the research will be investigating specific groupings for certain geographical areas which we know from historical research contain particular environmental insults or following the development of later cohorts (for example, the last potato famine in Scotland was around 1946, just before the records began in 1855). The substantive topic in this IRP is concerning individual life histories (life course) in the study of health and mortality. The researcher will develop expertise in utilising the rich longitudinal resources available in the UK. The findings will provide novel insights into how social and environmental conditions in early life affect cognitive development and subsequent health and well-being influence health later in life. The workplan will consider whether these factors accumulate over the life course to affect health and/or there are critical periods during life where certain factors are particularly pertinent. The work will generate new research data integrating individual life course data and geographical information be produced that can be reused for further research. 14.1 Research design. Coherent research plan for the project building on previous work. 14.2 Data production. The project research data produced can be reused for further research by others. The first phase will involve developing historical GIS measures of past environmental circumstances. This involves complex data manipulation and management, and in particular linking ecological information with cohort information available for a population born in Scotland in 1936. 14.3 Analysis/algorithms. Longitudinal modelling of the data prepared, including multilevel and GIS techniques, to answer the research questions. 14.4 Working papers/articles. At least 2 working papers relating to the empirical results. Based on the longitudinal modelling results, at least 1 working paper produced will in turn be submitted to an academic journal. 14.5 Analytical tool. Personal development plan, including appropriate GIS and research methods courses offered by University of Edinburgh, AQMeN and the ESRC National Centre for Research Methods. 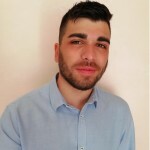 Claudio Colandrea has achieved his bachelor degree in Statistics, Economy and Society at La Sapienza University of Rome in 2014 with a thesis on gravitational models applied to interregional mobility in Italy. Then he has focused his studies in demography and epidemiology during his master’s degree in Statistical, Economic and Demographic Sciences held in 2017 with a thesis on public health. He developed his research project on a comparison between Italians and foreigners about the use of hospital structures in 2015 in Lazio. The project started with an internship at the Epidemiology Department of Lazio region. After a short period working on a survey about health assistance in Lazio, he worked in an Italian institution belonging to the Italian Ministry of Finance and Economy. His main task was as SAS programmer and he improved his skills in data mining and analysis of large datasets. He joined the LONGPOP project in September 2018 at the Geosciences Department of the University of Edinburgh. As Early Stage Researcher, Claudio’s work focuses on the impact of pollution on cognitive ability of children. Link to his LinkedIn profile here.